As we say hello to 2018, certain business practices and trends are sure to follow us into the New Year. 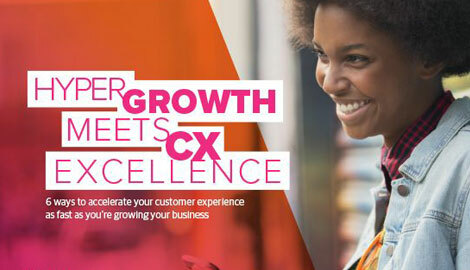 For instance, personalized experiences, meeting customer expectations, and protecting customer data continue to be important aspects of the customer experience. At the same time, a new year calls for a fresh start. And with that in mind, I have a list of ways businesses could begin transforming the ways they treat customers and their data. Here’s my customer experience wish list for 2018. The Equifax data breach is an especially galling example of executives who are deaf to their customers’ needs. The company waited weeks before alerting 143 million customers that their personal information had been exposed in a massive cyber attack. And it gets better. The company waived credit protection fees for victims only after it received a deluge of customer complaints. And for several hours its official Twitter account accidentally directed consumers to a fake website before journalists pointed it out. Businesses need to know who their customers are and what they want, but it’s a turn-off to ask for more information than what’s necessary. Uber, for example, was criticized for a controversial feature that allowed the firm to track the location of passengers even when they weren’t using the ride-hailing app. Although it defended the feature as a way to improve its service, Uber eventually dismantled it. As consumers become more selective about the companies they share their data with, businesses must work harder to earn their trust. In an era marked by data breaches and dynamic pricing, I appreciate businesses that are transparent about how they operate. Some companies, like Jet.com, equate transparency with choice by giving customers options in payment methods, shipping speeds, and other factors that affect the total cost of the transaction. And under the EU General Data Protection Regulation (GDPR), which will come into force later this year, organizations will be held accountable for a greater level of transparency in how they collect, process, and manage the individual data of EU citizens. It may be wishful thinking, but even companies that aren’t affected by the GDPR would do well to treat all customer data this way.